These fit any shoe or slipper and WILL IMPROVE your balance. Strength & Balance Soles can aid low back pain, sports performance, poor posture and balance through strengthening core muscles (Transversus abdominus and Multifidus). Physiotherapists, Chiropractors, Tai-Chi and Pilates experts use specific, intensive exercises to retrain and strengthen these muscles to increase stability of the spine. Simply insert Strength Soles into your shoes and the bodies own proprioceptive (sensory) system will better activate and strengthen these core muscles whilst participating in everyday activities such as reaching, bending, lifting and sporting activities. Even if we have strengthened our Core Muscles, activation of them at the right time to prevent back problems or increase strength is a major challenge for many people. Research has shown that walking on artificial flat surfaces leads to poor activation of the core muscles. Strength Soles help alleviate this problem by better activating the core muscles. People who work on their feet and complete heavy or repetitive tasks e.g. nurses, factory workers, waiters etc. Sportspeople who need to increase swing strength e.g. Tennis, Golf, Basketball, Boxing, Rowing etc. 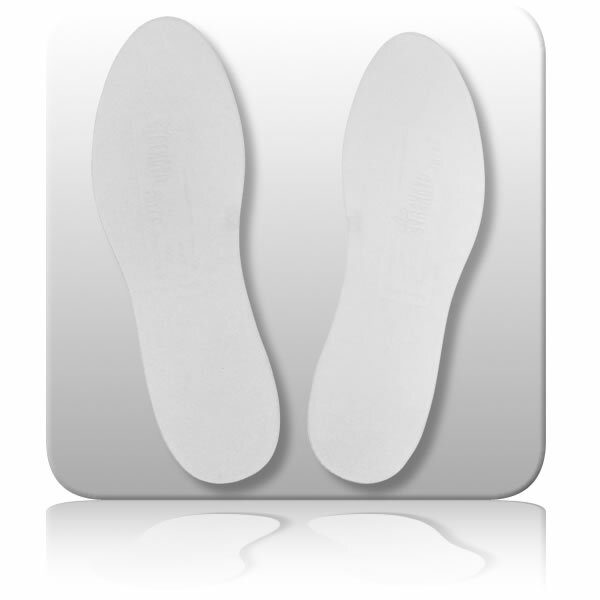 Strength Soles, developed with the principles of Tai Chi and Pilates in mind, are a simple, unique and inexpensive way for people on their feet to automatically switch on the important spine stabilising (core) muscles, protecting the back, providing a strong core and the associated benefits listed above.